When someone is seeking approval for Social Security Disability Insurance (SSDI) benefits, the primary concern is getting the letter saying benefits are forthcoming. However, for long-term financial planning and developing viable systems of support, the claimant needs to know how much money he/she can expect to receive monthly, and what, if any, other benefits are offered to recipients of SSDI benefits. 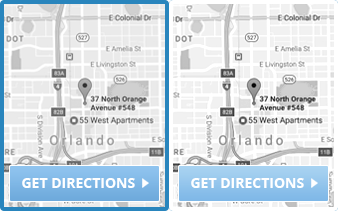 Knowing this information will help disabled individuals decide the most appropriate living situation, and whether additional help from family may be necessary to meet their needs. The monthly benefit amount each recipient receives is based upon how much he/she contributed to Social Security over the span of his/her working life. Thus, recipients do not all receive the same amount. Because the monthly payment varies, it is important to know how much a person can expect to receive so the appropriate financial decisions can be made. However, income is not the only benefit available to SSDI benefit recipients. They are also eligible for medical coverage after a period of time, and dependents of the SSDI benefits recipient may also be able to collect benefits as well. The complex formula used by the Social Security Administration (SSA) to determine a person’s SSDI monthly benefit is primarily based on an individual’s average lifetime earnings prior to the onset of the disability. The average monthly SSDI monthly benefit in 2017 is $1,171, and the majority of SSDI benefit recipients see benefit amounts ranging from $700 to $1,700. The maximum monthly benefit the SSA is authorized to pay is $2,687, and the calculation of a person’s monthly benefit starts with figuring the average amount of earnings on which an SSDI benefit recipient paid Social Security taxes. This is referred to as covered earnings. The SSA then takes this number and applies a complicated formula, using a series of percentage calculations, to arrive at an individual’s primary benefit amount. This is the basic amount the SSA uses to set a person’s monthly SSDI benefit amount. Estimates of future SSA benefits based on current and past earnings are available on the SSA website, which provides some guidance to those waiting for approval on an SSDI claim. Those approved for SSDI benefits are entitled to collect back payments for the months of eligibility the individual did not receive payments because his/her application was still pending. These back payments are paid in one lump-sum. How much back pay a person may receive is based on the disability onset date (when the disability began), the five month waiting period, and the date the application was filed. As a result, some SSDI benefit recipients receive an entire year of back pay because of the time it takes to obtain approval for a claim. In addition to monthly income, SDDI benefit recipients are eligible to receive Medicare benefits two years after he/she entitled to SSDI benefits generally. This two year period is measured from a person’s date of entitlement (the onset of the disability, plus the five-month waiting period), not from the time benefit payments began or an application was approved. Practically speaking, because it takes so long for most to get approved, eligibility for Medicare is approved at same time as monthly benefits. Finally, dependents of SSDI benefit recipients may be eligible for auxiliary benefits that supplement the SSDI benefit recipient’s monthly payment in order to cover the needs of these family members. Further, if the SSDI recipient dies, his/her dependents may be able to collect survivor benefits. Spouses and children are the most common recipients of such auxiliary benefits, but parents and grandchildren also qualify in certain circumstances. 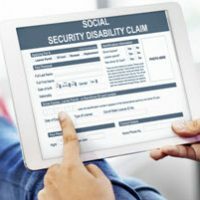 Consultation with an attorney experienced in SSDI claims and benefits should be sought to determine if a particular family member would qualify, as the rules vary. Getting the disability benefits you need to cover basic living expenses and health coverage is not something to leave to chance. A disability insurance attorney should be contacted early in the process to make approval more likely and within a faster time frame. Farrell Disability Law has extensive experience helping disabled clients get the benefits they deserve. 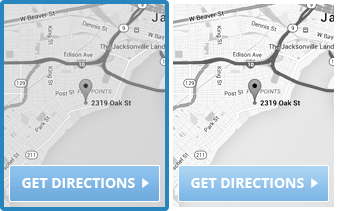 If you live in Jacksonville, Neptune Beach, Orange Park or the surrounding areas, contact the office for a free consultation.